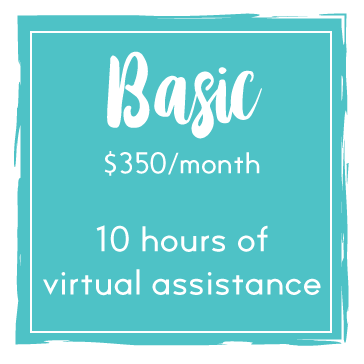 A VIRTUAL ASSISTANT WILL SAVE YOU TIME, MONEY, AND HASSLE. Achieve the perfect work/life balance and focus on what you LOVE about your business, while we take care of the rest. 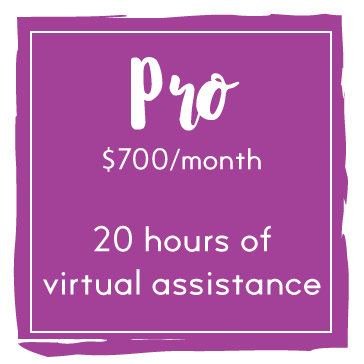 If you need a service not listed above, or would like help determining which package best fits your needs, CLICK HERE to send me a message and I will be glad to help!